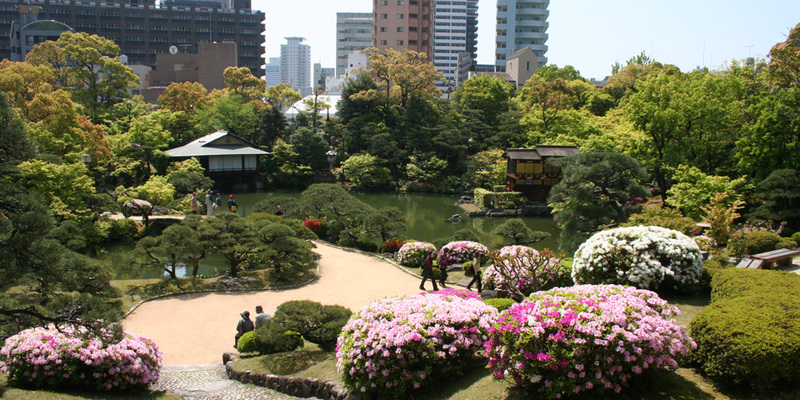 Completed in the early 20th century, the Sorakuen garden was built on the residence of Taijiro Kodera, father of former Kobe City Mayor Kenkichi Kodera. 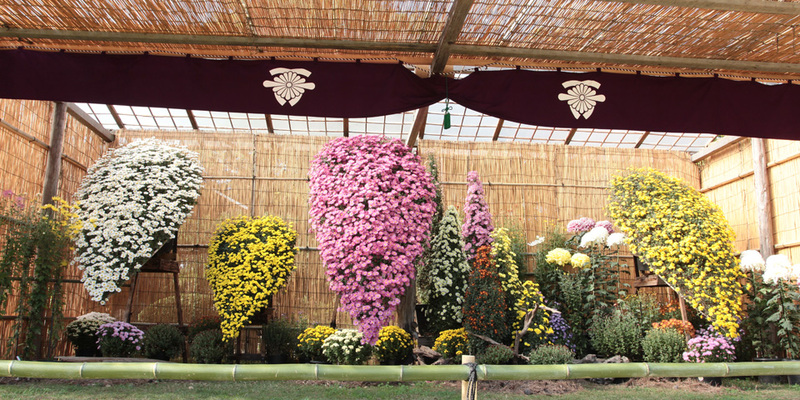 After coming under the ownership of the city of Kobe, it was named “Sorakuen” and opened to the public. Last entry is 30 minutes before closing. 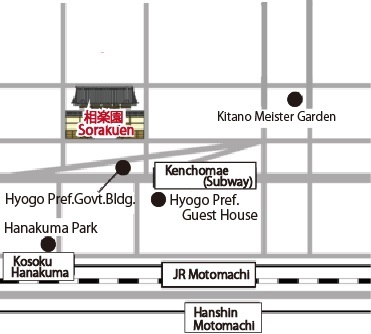 Ten minute walk northwest of Motomachi Station (JR and Hanshin Railways) and five minute walk north of Kencho-mae Station (Kobe subway). 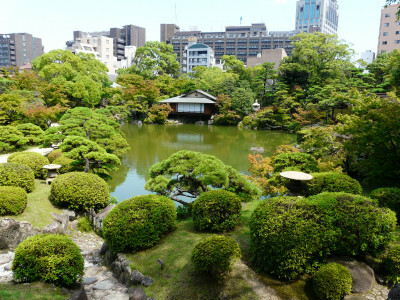 Stepping stones, stone bridges, streams, and a waterfall surround a central pond in the sprawling, 19,566 square-meter garden. 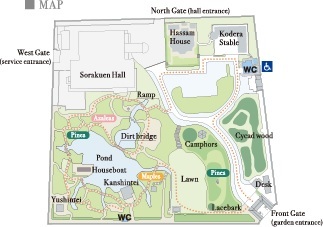 The grounds are full of nature, with a cycad wood, large camphor trees said to be some 500 years old, azaleas, and maple trees in their beautiful autumn colors. 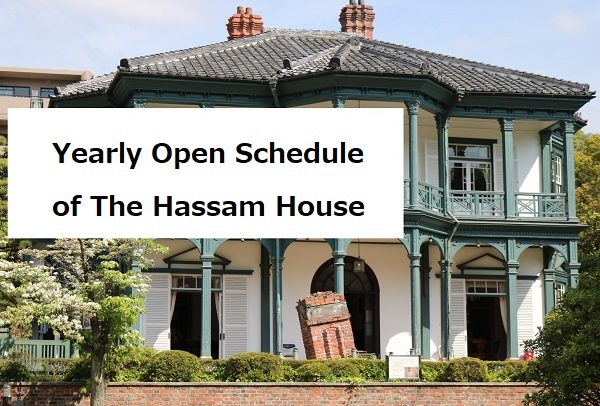 A stately front gate, European-style stable, traditional pleasure barge, the Former Hassam House, and the Kanshintei tea house beautifully complement the garden. 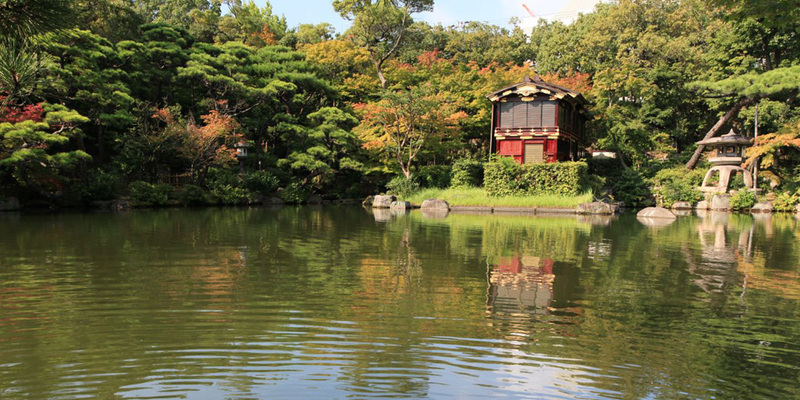 This houseboat (Kawagozabune) was originally used for pleasure cruises by the feudal lord of Himeji, and is thought to have been constructed between 1682 and 1704. The boat was reconstructed at its present site in 1980. 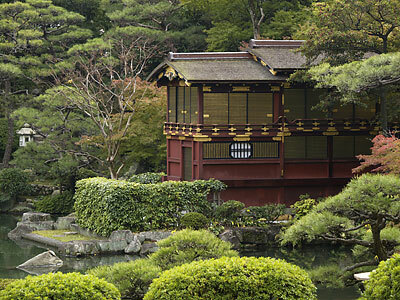 The structure consists of a two-story wooden building with a gabled roof thatched with layers of Japanese cypress bark. All of the wooden sections of the building have been treated with lacquer and the ends of the horizontal beams and rafters decorated with gold leaf. The building is highly regarded for its delicat decorative styling. This is the last “Kawagozabune”in exsistence. 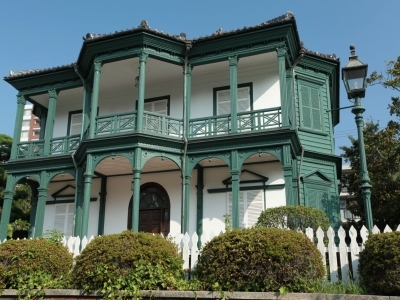 Kenkichi Kodera, the former mayor of Kobe and former owner of Sorakuen, had this stable constructed around 1910. The building has many interesting features, including a circular cupola, a steep roof, dormer windows, and rich gable ornaments. The building, which was constructed in the shape of an L, includes a garage for carriages in the northern part of the first floor and housing for stable hands on the second floor. 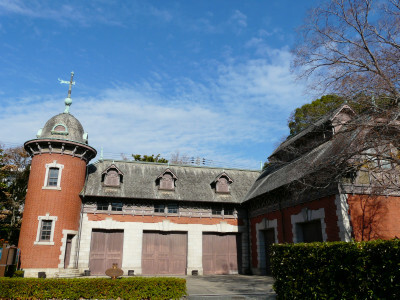 A high-ceiling stairwell and the stables proper occupy the eastern side of the building. 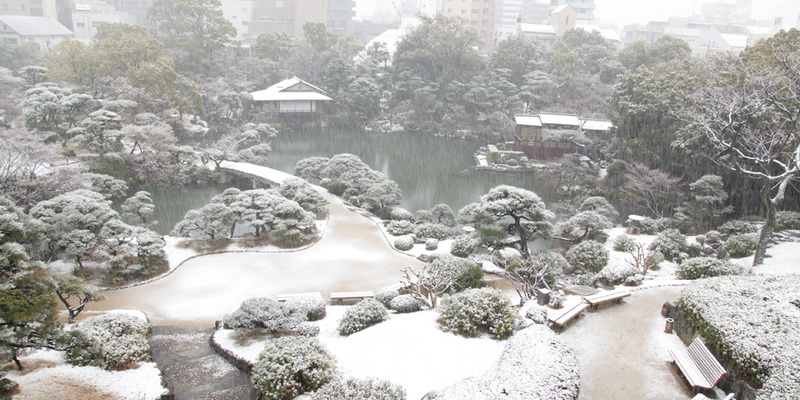 Copyright (C) 2012 SORAKUEN GARDEN All Rights Reserved.